We Specialise in providing the perfect security solution for business and domestic premises. The increase in criminal damage, theft and assault in recent years has seen the unprecedented rise in the installation of CCTV security systems in the India and they are now part of our daily lives. They also offer staff and customers peace of mind, especially in places such as car parks, dimly lit areas and other places where people feel vulnerable. We are experienced in providing CCTV security services to most market sectors and in particular town centers, government buildings, leisure complex sites,etc. We offer a wide range of surveillance CCTV security systems that are designed to suit almost any application requiring a view of a given location and we have the ability to specify the latest in camera design and operation. 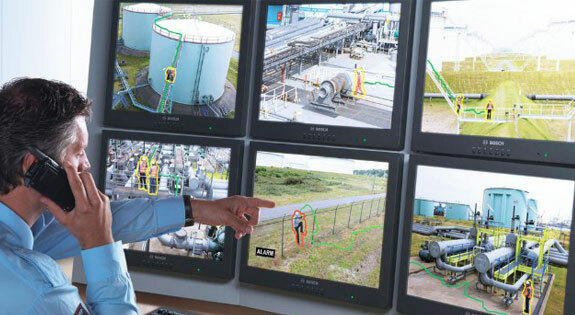 We believe one of our key strengths is the ability to provide a fully integrated electronic systems and manned guarding solution under a single management structure. This provides you with the right image and the benefits you would expect from a reputable nationwide company, such as standardization and consistency of service, with the flexibility and easy access of a local management team. All our manned guarding team is rigorously trained, to give complete reassurance. In addition, all staff receives market sector specific training, giving our teams the ability to transfer key skills. A huge range of security surveillance for you and your business.